Italians celebrate New Year's Eve, known as the Vigilia, Capodanno, or Festa di San Silvestro, with a cenone (big feast). This celebratory meal often features several courses and last for many hours. The foods served are symbolic of wishes for the coming year and are accompanied by plenty of festive drinks like Prosecco or spumante ("sparkling wine"). Will you be hosting an Italian feast to encourage a lucky, healthy, and prosperous new year? Set a large table, gather your family and friends, and create and sample these traditional Italian recipes together. If you'd rather focus on eating instead of cooking, enjoy these dishes at your favorite Italian restaurant. In Italy, it's believed that fireworks chase away bad spirits, so be sure to end your evening with a colorful display. 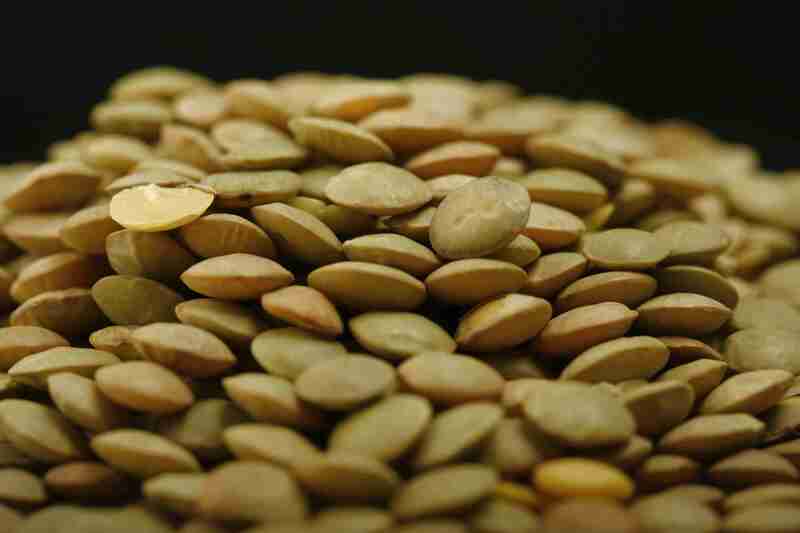 Throughout Italy, lentils star in many New Year's dinners. With their coin-like shape, they were traditionally believed to bring prosperity in the new year. The lentils are often cooked with onions, garlic, herbs, canned tomatoes, and olive oil. They are commonly served with either cotechino (Italian pork sausage) or zampone (stuffed pig's trotter). Pork is considered a lucky New Year's food because it's so fatty and rich. The classic accompaniment for New Year's lentils in many parts of Italy is the popular sausage, cotechino. Originally from Modena, a town in the Emilia-Romagna region, cotechino is a large sausage made from pork rind, meat, fat, and spices. It's usually sold partially cooked or raw, and then simmered over low heat and sliced into rounds before serving. A common alternative to cotechino is a zampone, a hollowed-out pig's trotter stuffed with a sausage made with pork rind, scraps, and fat. Just like cotechino, it's also boiled and sliced into rounds before being served with lentils for a lucky New Year's Eve dinner. In Piemonte and Friuli, in addition to lentils, grains of rice represent coins and abundance. While cooking, rice grows in the pot the way that you'd like your wealth to multiply in the new year. To encourage financial prosperity, many traditional Italian New Year's dinners include a risotto in bianco (white risotto). In the Emilia-Romagna region, tortellini or cappelletti (small filled pasta dumplings) are often eaten on New Year's in a rich, meaty broth. One of the several Italian names for the new year, Capodanno, means the "head of the year." Cappelletti means "little hats," so perhaps that's why it's an appropriate dish to "cap off" the old year and begin the new one. In Sicily, a New Year's treat that "non può mancare" is sfincione, a thick-crust, rectangular pizza made with onions, bread crumbs, and caciocavallo cheese. Sfincione is the ancestor of what is known as "Sicilian-style pizza" in the United States. This pizza makes a great finger-food for New Year's Eve parties! Veneziana is a sweet, buttery leavened cake similar to classic Italian yeasted Christmas cakes (Veronese pandoro or Milanese panettone) minus the candied fruit and topped with crunchy pearl sugar and slivered almonds. This cake is traditionally enjoyed in Venice on New Year's Eve. Long, thin slices of star-shaped pandoro are also often served at New Year's Eve parties, dusted with powdered sugar and sometimes dipped in melted dark chocolate.